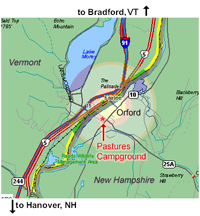 The Pastures Campground had its humble beginning as an open field in the early 70′s as Tom and Dot Parkington, the original owners, opened their lovely property in Orford, New Hampshire to those who looking for a place to pitch their tents and park their RVs while enjoying access to over 40 beautiful and navigable miles of the Connecticut River. As time went by the campground was passed onto Tom and Dot’s daughter and son in law, Laurel and Byron Berwick where for years Laurel owned and successfully operated the Cheap Kids Consignment Clothing Store while they both successfully managed the campground. 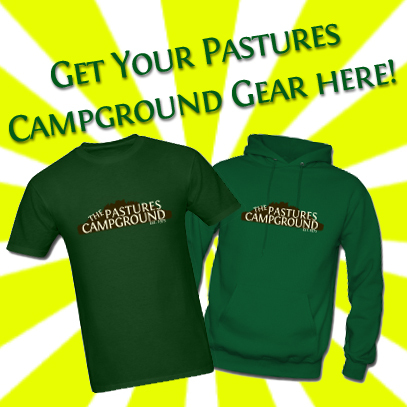 In February of 2018 the Pastures Campground changed hands and is now owned and operated by Doug and Kim Robinson, long time campers at the Pastures. 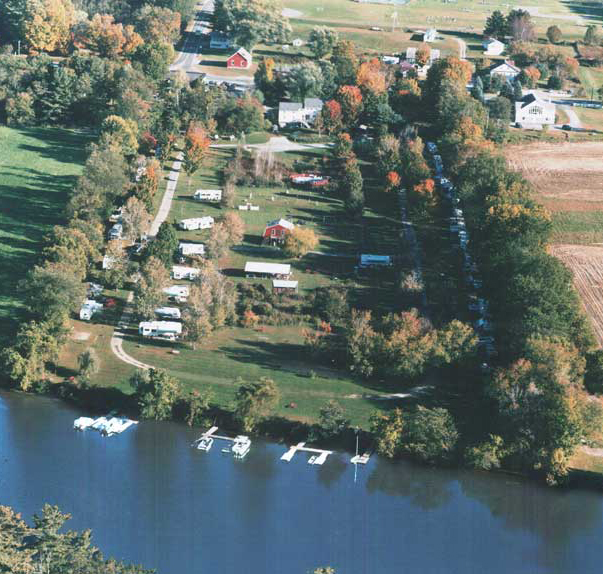 At the Pastures Campground, we offer a peaceful and quiet family-oriented camping facility to accommodate not only RV, tent, or group campers, but for special functions such as company or church picnics, reunions, or other gatherings and community events. Our campers and their guests can enjoy the use of our rental canoes, kayaks and pontoon boats, our pavilion and multipurpose room, horseshoe pits, family playground and our heated swimming pool. We strive to keep our campground clean, quiet, and family friendly. We also offer “honey wagon” service , free dumpstation use for campers, and free Wi-Fi as well. Look under “Amenities” for more camping details.